Looking for Southern Comfort Food that is quick, easy and delicious? 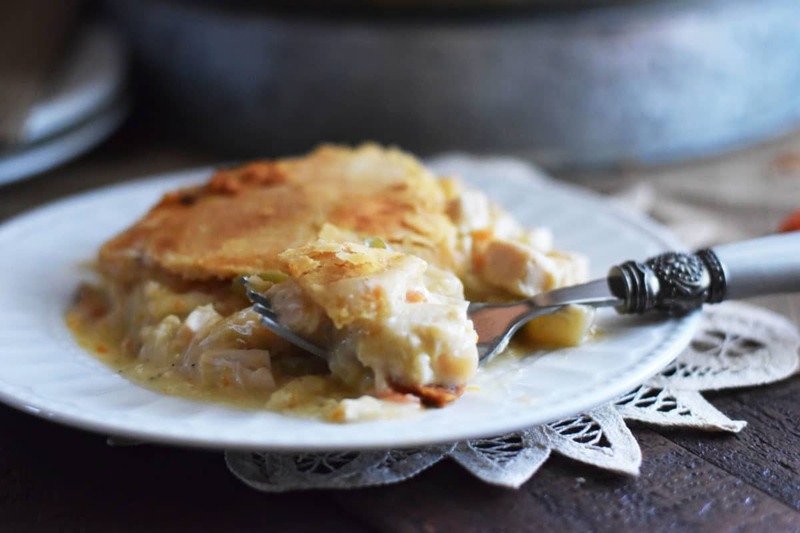 Bring on this heavenly Easy Chicken Pot Pie! It’s full of veggies and tender chicken all wrapped in a delicious sauce that will have your family asking what smells so good! They will never know this Easy Chicken Pot Pie isn’t from scratch and I won’t tell a soul! 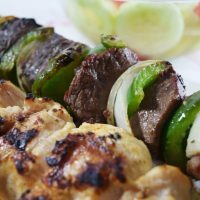 That is why I love this recipe!! It comes together with such ease, but tastes like it’s made from scratch. The key is ready made ingredients, put together with lots of LOVE. 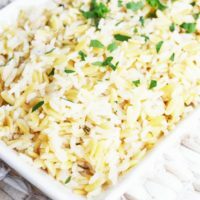 This recipe was shared by a dear family friend years ago and it’s one I go back to again and again! Kim put a little more work into hers and I adapted just a touch (bring in the rotisserie chicken). She cooked chicken breasts, which you can too! But I usually pick one up each week and work it into a meal! Makes my life easier! You don’t have to be in the kitchen all day to have a delicious meal to put on the table – GUILT FREE, because it tastes great! Can you say I LOVE EASY WEEKNIGHT MEALS?? Here we go – ready to bake!! Mix, drained can of veggies, can of cream of potato soup, cream of chicken soup, chicken, and 1/4 cup milk. 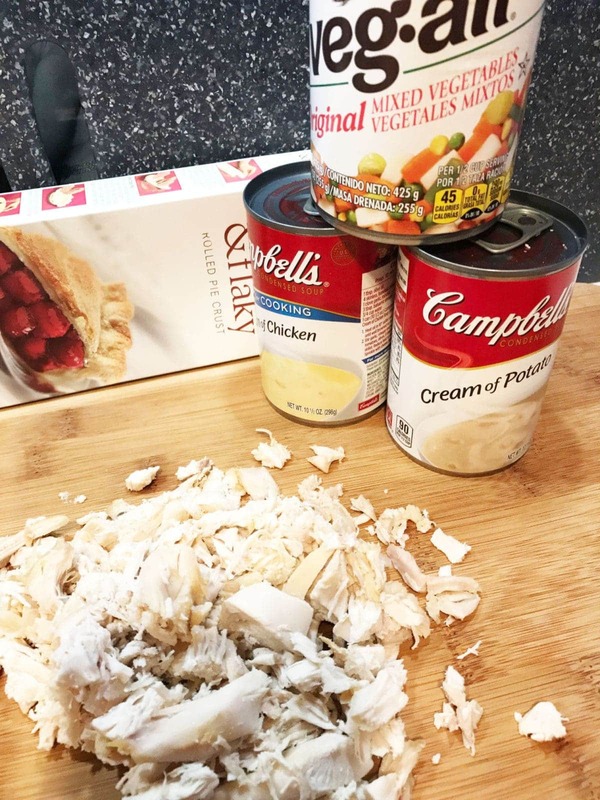 Put one pie crust in the bottom of a deep dish pie crust, pour in chicken mixture, top with crust. 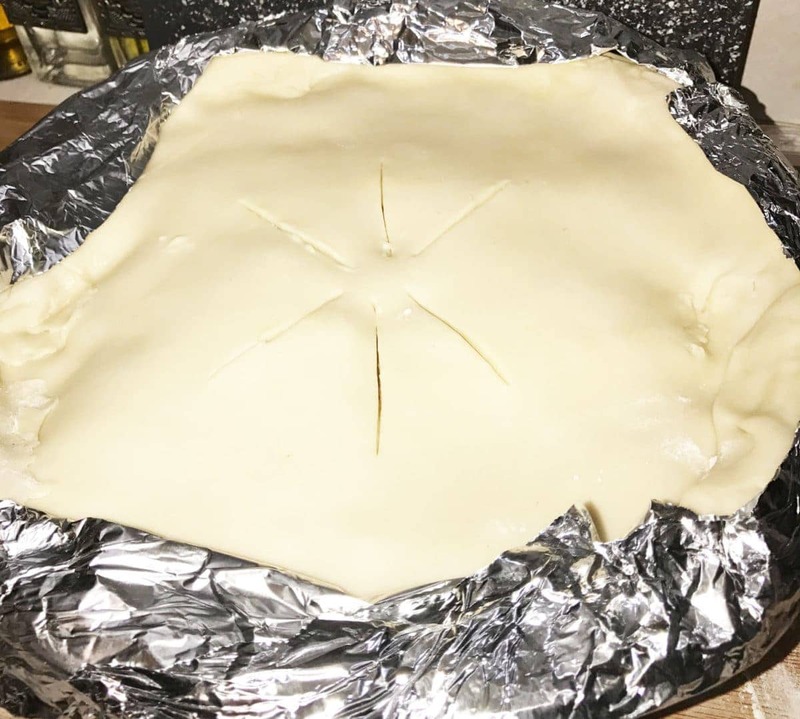 Crimp crust around the outside of the pie and place a few slits in the center of the crust. Then put some tin foil around the edges of crust! That is it easy peasy. Place in a 350° oven for 45 to 50 minutes and pull this bubbly deliciousness out of the oven! Let me just confess I cut right into this pie without letting it set. Now it will set up a little better for a prettier slice, if you wait 10 minutes or so. But I had my guys screaming when is dinner so I rushed it just a bit too soon! Let’s be Social Ya’ll! It’s the nice thing to do! In a bowl mix drained veggies, potato soup, cream of chicken soup, and milk. Add in chopped or shredded chicken and stir. 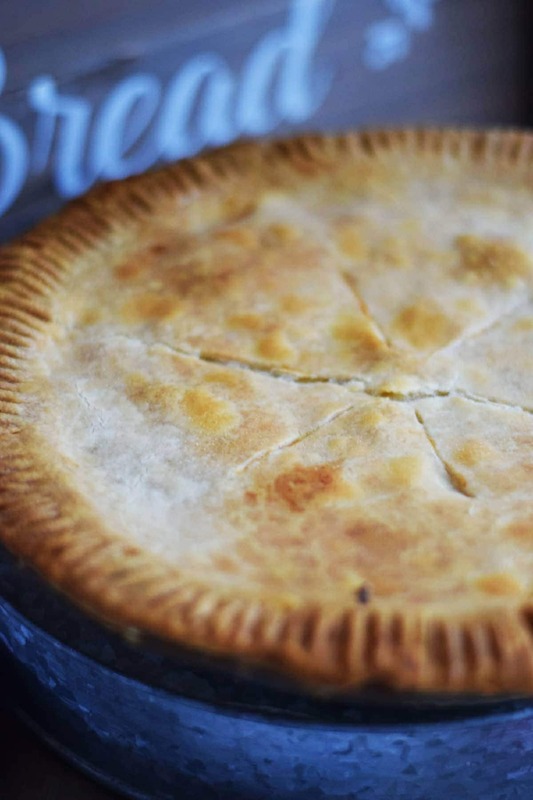 Fill the bottom of a deep dish pie plate with one crust. 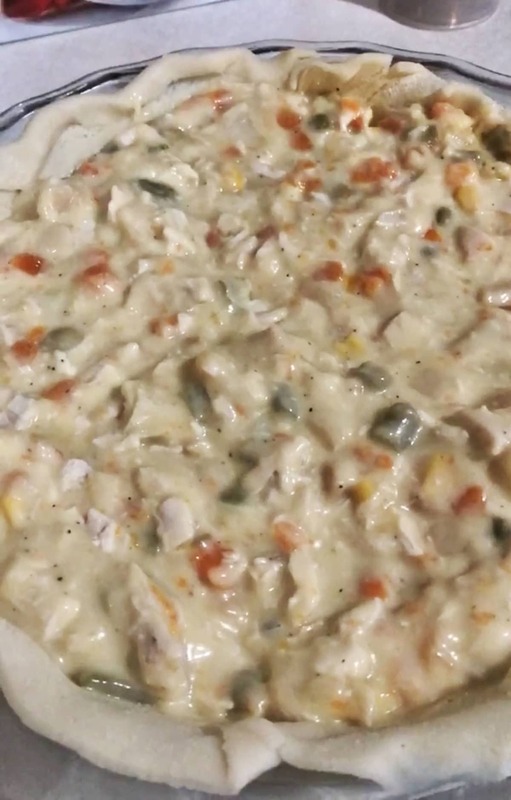 Pour in chicken mixture. Put tin foil around edges of crust. Bake for 45 to 50 minutes. Remove from oven let sit for 10 minutes slice or spoon and serve. I am sharing this over at one of my favorite link ups! 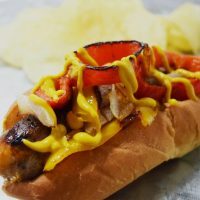 Make sure to head over and find all the deliciousness going on at Weekend Potluck! 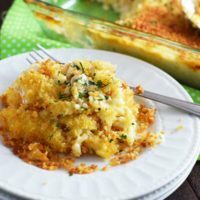 This is a dish my family will love on a busy weeknight! I agree! And it completely tastes made from scratch! 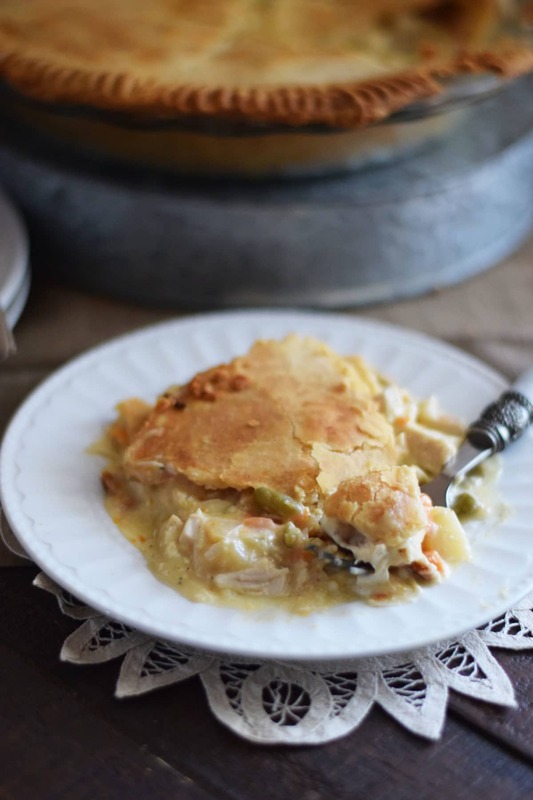 Chicken pot pie is a family favorite! Pure comfort food! Mine too! Sometimes you just need comfort food! I love food that brings back memories don’t you? It’s always good to have some quicker variations of recipes for when you’re short of time, as you say. 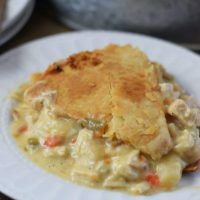 Chicken potpie is a favorite here, who doesn’t love that creamy comfort food with flaky pie crust? I am glad you love it too! It truly is comfort food at its best! Thank you!